New Functional Glove Box Door! 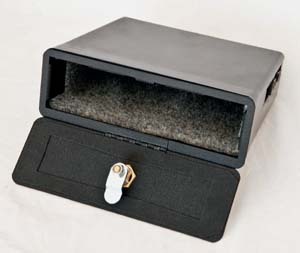 GD-3: eGlideGoodies' now offers our Sealed Glove Box Door for the Electra Glide Standard platform. 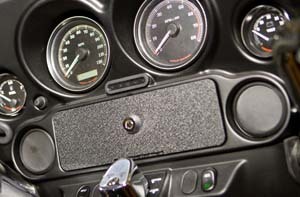 Add security, weather resistance and convenience to your up-front Electra Glide Standard glove box. The hinged design allows quick and easy access to your items, without having to go back to the tour-pak when you need security for valuables. The units are made of strong but light weight aluminum with sturdy stainless steel rigid hinges and gasketed doors to keep out the water. A wrinkle black powder-coat finish matches well with the inner fairing and the rest of the motorcycle. A slight curve is incorporated into the design to aid in sealing of all four door corners. You can select from the following options: Chrome Barrel Lock, Black Barrel Lock, Flat Key Lock or Unlockable Quick Access Black or Chrome Knob. 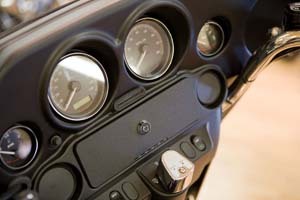 The beautiful chrome barrel lock option coordinates with the motorcycle's ignition, saddlebag and tour-pak locks and can be keyed to your bike's ignition. Custom assembly, special order. 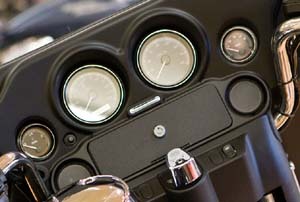 GKY-D3: This service option can also be keyed to match your existing Electra Glide ignition key. All you have to do is mail in one of your spare ignition keys (please use padded envelope or CD mailer and mail to eGlideGoodies ATTN: MATCH KEY) along with your name and we'll match the key to your order and coordinate keying the locks appropriately. You will get your spare ignition key (along with two keys from the kit) back with your order. Consider adding the GKY-KPC Premium Key Cover for each key. We do not have access to H-D key codes for the GD-3 product, so supplying the key code will not work. 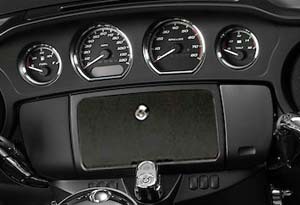 For quick access you can select our ergonomically designed knob that provide convenience without locking capability. Easily open your glove boxes with a gloved hand and a quick turn of the knob. This option is available in black or chrome. Riders who prefer to carry a flat key in their pocket can select the chrome flat key lock option. Our default shipment when no lock option is selected is our show chrome barrel lock. Easy installation from the glove box opening. 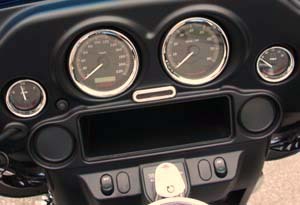 (Fairing or glove box does not have to be removed for installation.) Glove box liner also available. GB-286: If your fairing does not already have the inner glove box, this OEM part can be purchased to go with the GD-3. Normally not needed. Special Order item. GKY-PKC: Premium plastic key cover. This is the best key cover...by far nicer than the H-D OEM. Longer for quicker easy feel. Dimensions: 1.5" Tall x 1" Wide. Available in black or H-D orange color. Black is default. 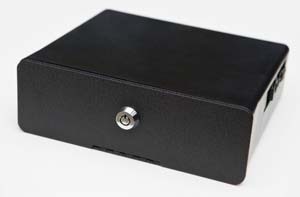 The GD-3 Glove Box Door looks great, is easy to install. Steve S.